The Chicago Council on Global Affairs is now accepting applications for their Next Generation Delegation from students to participate in the Global Food Security Symposium 2018. The symposium will be held on March 21-22, 2018 in Washington, DC. Convened annually, the Global Food Security Symposium addresses the US government’s and international community’s progress on global food security and ensures that new challenges are met with action and innovation. Both soil and food has an important role to human health and sustainable development. Food security ensures the availability, accessibility and proper utilization of food to the general welfare and as a public benefit. Because of that, multi-disciplinary stakeholders including international expertise, and historic bipartisan support for food security programming. 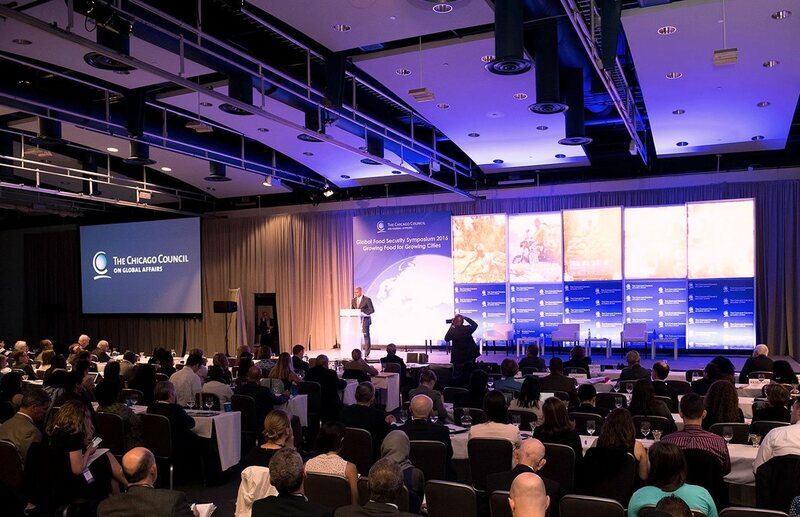 Global Food Security Symposium aims to help lead struggling countries from instability to prosperity and turn frontier markets into thriving partners. The Chicago Council on Global Affairs accepts applications for the Next Generation Delegation from students to participate in the Global Food Security Symposium 2018. Since 2013, the Next Generation Delegation program has provided an opportunity for promising students to attend in symposium discussions and to interact with multiple discipline communities including business and policy innovations, social entrepreneurs, and civil society working on agriculture, food, and nutrition issues to reflect on the broad challenge of food security. The 2018 symposium will discuss to participants how to leverage past successes, and invigorate future efforts, amidst an evolving global landscape. This unique window is to facilitate a chance for the next decade of leadership that will contribute to a better understanding of behavioral, biophysical, economic, institutional, political, social and technological drivers and supply chain systems on global food security. The symposium will be held on March 21-22, 2018, in Washington, DC. Lead by Douglas Bereuter, president emeritus of The Asia Foundation, and Dan Glickman, former secretary of the US Department of Agriculture, this symposium 2018 will showcase the best of business, social, and policy leaders. Top visionaries from every sector will gather to deliver critical analysis and innovative science that generate the productive dialogue and actions necessary to ensure strides in global food security and agricultural revolutions, and the Council will release its recommendations in a new report. For more information or register click The Chicago Council. 0 Response to "Global Food Security Symposium 2018"